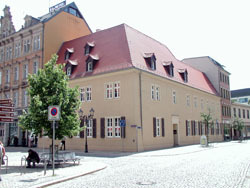 The house at the corner at Hauptmarkt 5, where Robert Schumann was born on 8th June 1810, is hosting the biggest collection about Schumann in the world consisting of more than 4.000 original manuscripts of Robert Schumann (1810-1856) and his wife, the pianist Clara, née Wieck (1819-1896). The father, August Schumann, who made his life as innovator of the pocket book, was the owner of a bookstore and publishing house at this place. A part of his publishing stock – annotated copies from the property of Robert Schumann – can be admired in the exhibition rooms. In a total of eight rooms, the newly in 2011 designed permanent exhibition is showing precious picture, musical instruments, prints, manuscripts and memorabilia – from a ringlet of Clara Wieck to the chess game of Robert Schumann. The birth room of Schumann is featured as memorial room with historical furniture that belonged to Robert and Clara Schumann, including a lectern, on which Schumann used to compose. Among the sic key instruments of the Schumann period are special highlights, such as the Viennese grand piano by André Stein, on which Clara Schumann gave her concert debut at the Leipzig Gewandhaus in 1828, at the age of nine. Also belonging to these things: a pedal piano, which is played with hands and feet. Mechanical models illustrate the three current piano mechanisms that were competing at the time of Clara Schumann. With the sound installation “Tanzende Buchstaben” (Dancing Letters) or a ball runway melodies of Schumann resound. Looking through an opera glass dating from the 19th century, a coloured original image scene of the premiere of Schumann’s opera “Genoveva” in 3D effect appears. The staircase foyer offers an installation with Schumann busts and posters designed by the American artist Janet Gray. Computer terminals with various multimedia presentations, including the project "Schumann digital" show Schumann from today's perspective. 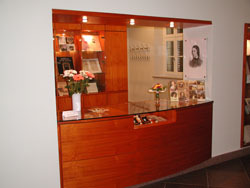 The gallery offers a play and reading area as well as exhibits on the aftermath and timeliness of Robert and Clara Schumann. The ground floor lobby presents quarterly changing temporary exhibitions. Furthermore, there are also the museum shop and a chamber music hall with 140 seats for concerts, lecture recitals and symposia. Guided tours are available in five languages; there are guided tours on special topics and special groups for children. Individual visitors are provided with four different audio guides, that offer an acoustical journey through Schumann’s life in German, English, for children or for visually impaired visitors. Library and archives are open weekdays from 9.00 am to 4.00 pm by appointment. 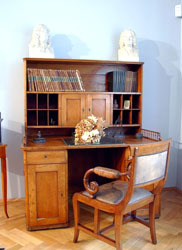 In addition to literature about Robert and Clara Schumann and their time here, a large part of Schumann’s own library has been preserved, including glosseries and music theory works as well as around 100 journals, including the ‘Neue Zeitschrift für Musik’ or the 'Signale für die Musikalische Welt’. 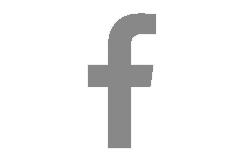 Around 700 exemplars from the publishing House Bros. Schumann in Zwickau (1810-1840) are available. 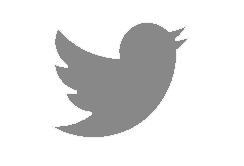 Among the more than 4.000 music manuscripts, along with Robert and Clara Schumann also composers as Johannes Brahms are represented. Among the most important manuscripts of Schumann are the sketches for his opera Genoveva Op. 68 and Faschingsschwank aus Wien Op. 26, as well as the score autograph of the overture Hermann und Dorothea Op. 136. Among the rich collection of pictures belong numerous early forms of photographies (as for instance more than 400 ones in Carte de Visite format) and orginial paintings of artists such as Eduard Bendemann, Carl Jäger and Franz von Lenbach. Together with the printed notes, Schumann’s collection of first editions of his complete works protrudes, included in the full list collection consisting of more than 10.000 slides also the complete program list of Clara Schumann. Two long-term research projects of the Academies of Sciences are located at the Robert Schumann House: The Schumann letters edition and the complete compilation of his musical works. 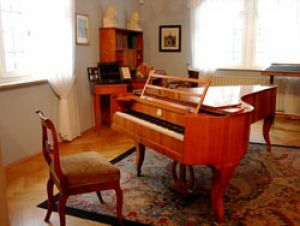 The Robert Schumann House is the centre of the annual Zwickau Schumann Festival in June. Its history already began during the artist’s lifetime, when in 1847 a celebration of several days in honour of the already famous son of the city took place. Since the 1960s this tradition established an annual basis. Every four years, the international Robert Schumann Copetition takes place with the categories piano and vocals.